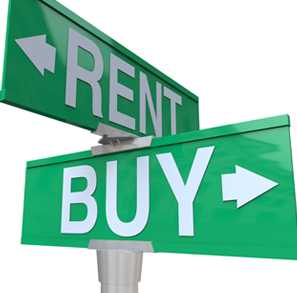 In the national real estate market this year, one of the great debates has been between buying or renting a home. Since the market hit an all time low, many were leery of buying considering the current real estate market. Yet, we’ve seen rent across the nation on the rise and, oftentimes, a monthly mortgage can actually be less expensive than renting. As a North Shore Real Estate agent, I can see why potential buyers were opting to rent in previous years as the rise of foreclosures brought a reality check to our nation as a whole. However, when it comes to the battle between renting or buying a North Shore home; I can assure you that buying a home is always the better choice. Here are a few key reasons why! 1. You can determine your homes’ energy efficiency- From adding insulation, to upgrading your air conditioner or hot water tank; you are in control of the energy efficiency of your home. Making these bigger changes, that you wouldn’t make in a renting situation, will save you money in the long run and will make you feel better about what you’re doing for the environment. 2. You can customize your space- This is an important part in making a house feel like a home. You don’t have to worry about paint colors, what you put on the walls, and even have the freedom to knock out walls to reconfigure a space! Owning a home means you have endless possibilities to make your North Shore home exactly what you envision. 3. Homeowners buy less furniture- For the most part, homeowners will stay in a space longer than those who rent. Moving every few years means you’re constantly investing in new furniture for a place, whereas in owning a home; you can get the furniture that fits your space and feel comfortable with your decisions for years. 4. You know what you’ll be paying from year to year- Unlike rent, a fixed mortgage means your monthly payment won’t change. With inflation, rents oftentimes increase each year and you can get caught with paying more than you imagined. A fixed mortgage is great in allowing you to determine your yearly budget and stick to it. 5. Tax deductions are available for homeowners- While the main tax perk of owning a home is being able to deduct mortgage interest payments, there are other deductions available. For instance, eligible expenses such as energy efficient improvements, can provide an even greater tax benefit. 6. You can take advantage of currently low interest rates and prices- Last but certainly not least, the current home prices and low mortgage rates are a huge advantage of buying a North Shore home now. According to real estate site, Trulia, overall rent prices rose by 5% while home prices lowered by .7%. With the market leaning heavily in the favor of buyers, now is the time to buy! As you can see, there are many advantages to buying a North Shore home as opposed to renting. While the home buying process may seem overwhelming, especially to those of you who are first time home buyers; having a trusted North Shore Real Estate agent by your side to walk with you throughout the entire process can be exactly what you need to find real estate success! I’m always available to answer any questions you have about the North Shore Real Estate market, and would love to meet up to show you some of the beautiful and affordable homes currently on the market.